Create success with a comprehensive conceptual plan. A Master Plan presents your long range vision and goals. Carefully planned and logically sequenced, this invaluable resource creates a solid foundation for your vision, whether constructed in single or multiple phases. Quantify your needs. RSSC listens carefully to understand your specific needs so we can begin to help make your “wish list” come true. By identifying your requirements for the project, we transform your vision into a reality. Map your vision. 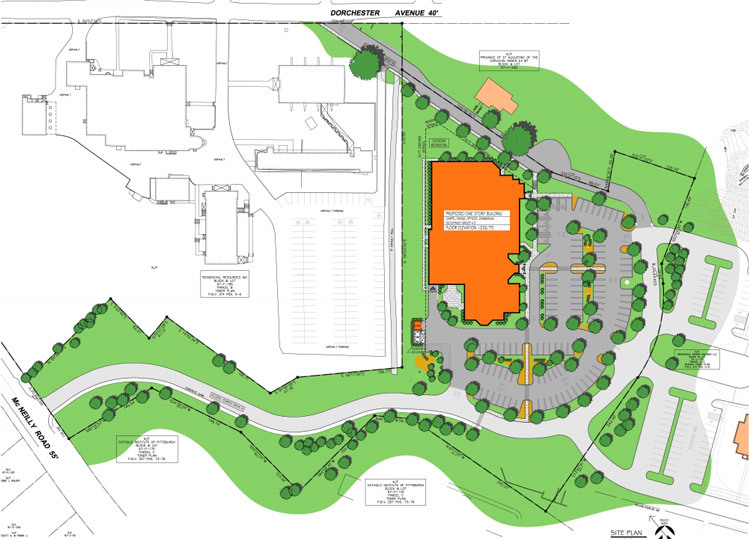 We utilize zoning ordinances and property topography to develop a preliminary site plan. From vehicle and pedestrian circulation, parking and landscape areas to building size and orientation, RSSC maps the logistics for successful property developments. We navigate the land development process to ensure your requirements, as well as municipal ordinances, are met. RSSC works closely with local governments and our engineers to prepare drawings, details and submissions needed for approval. Our team approach streamlines the land development approval process.